Primary Eye Care Center offers an extensive line of contact leses from Acuvue Oasys, Pro-Clear, Pure Vision and many more. 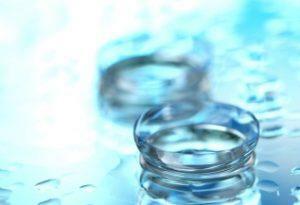 Daily-wear contact lenses are the most commonly worn. This term “daily-wear” derives itself not from their disposability, but instead from the period of time they are worn without taking them out. Monthly-wear contact lenses, otherwise referred to as extended-wear, do not have to be removed at night. They can be slept in. Certain silicone hydrogel designs can be worn for up to 30 days without being removed. Contact lenses come in both hard and soft forms. The advantages to hard “rigid” lenses are quickly being adopted by soft lenses. Rigid lenses are undoubtedly less comfortable than soft lenses. The wearer must adjust to wearing hard lenses more slowly by gradually increasing the number of hours they are worn each day. Although they are prescribed less often, rigid gas-permeable lenses are still the best choice for some patients. Soft lenses are prescribed more often due to being more comfortable and requiring less maintenance.